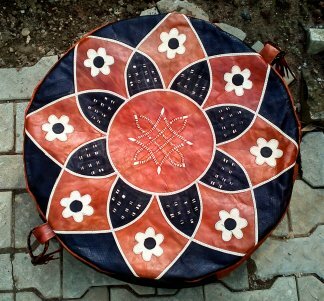 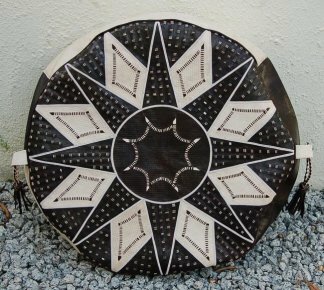 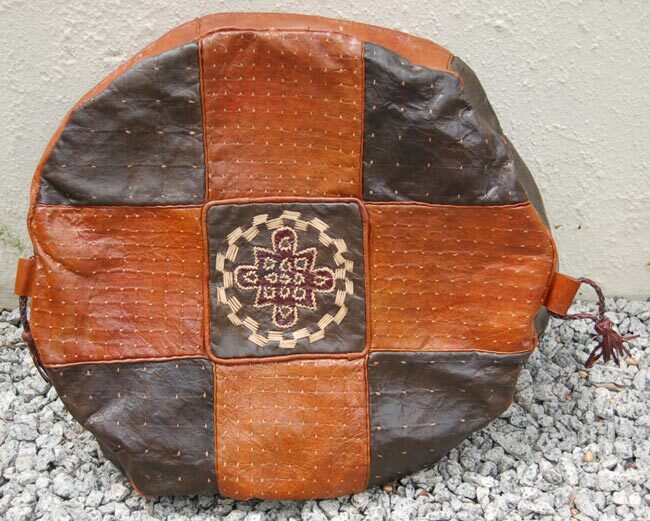 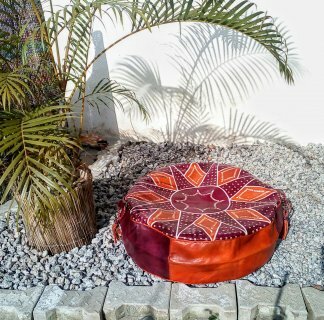 Round tan and black handcrafted Hausa leather pouf. 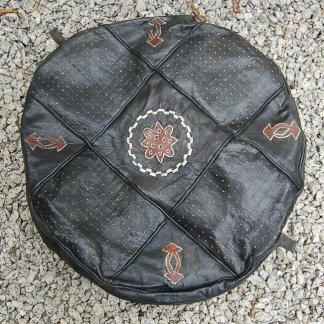 Free shipping to USA or UK when you purchase two or more poufs. 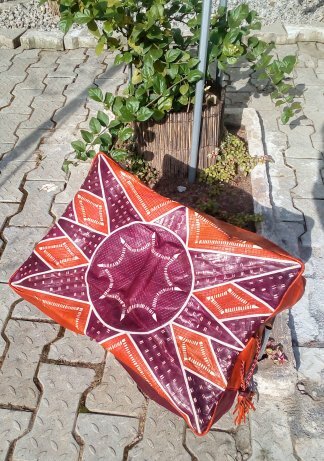 Discounted shipping to other destinations. 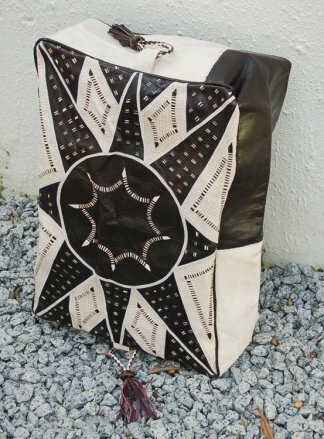 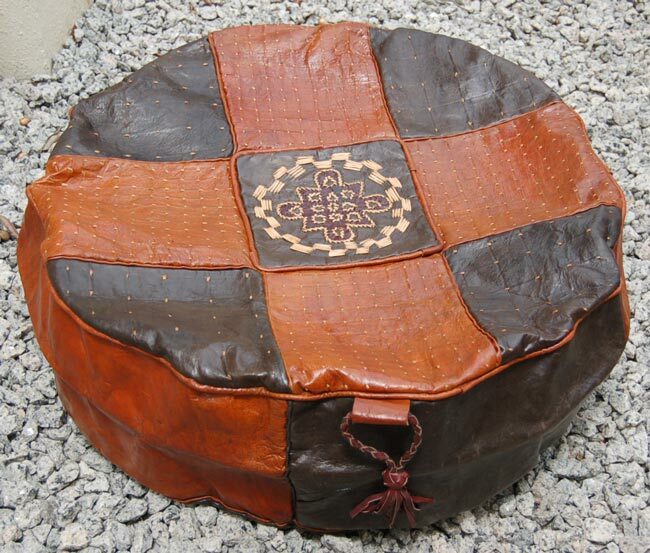 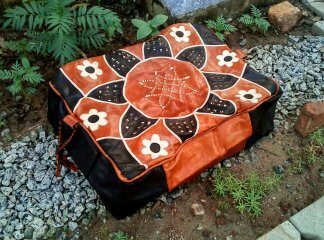 Tan and black Hausa leather pouf, handcrafted in Nigeria. 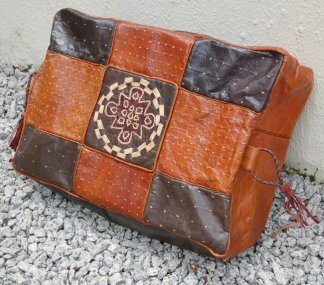 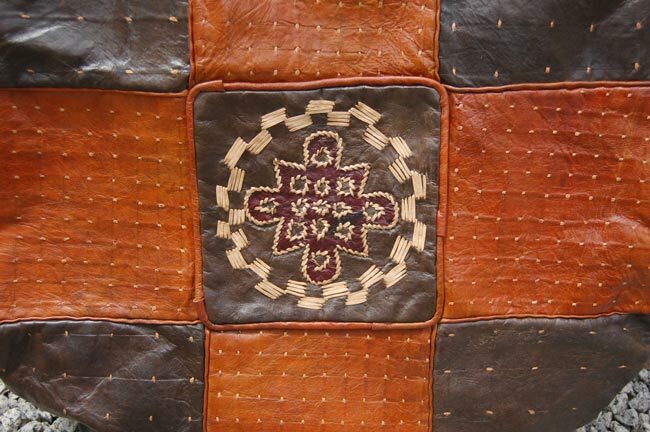 Made from a mix of cow and camel leather. 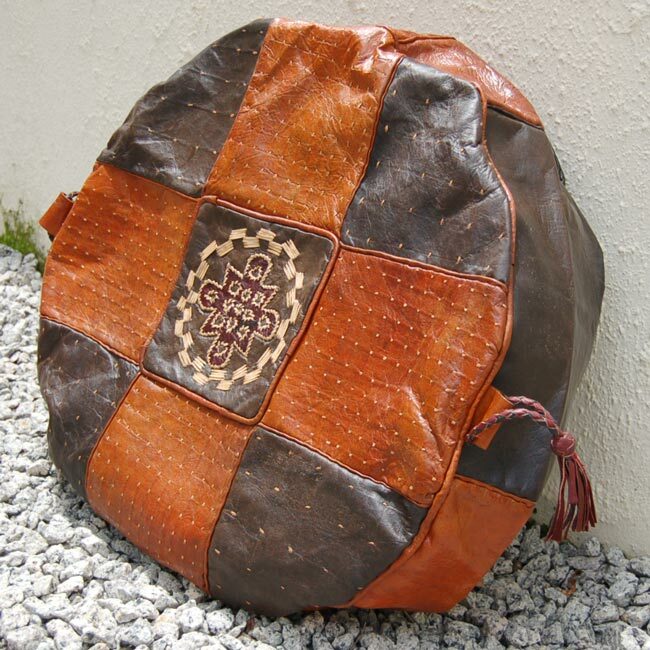 Ships unstuffed, zipper at back. 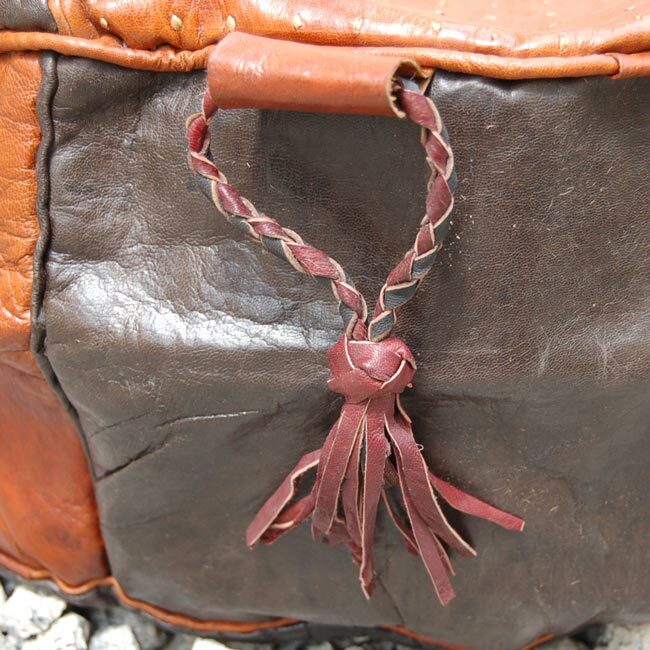 Please note the braided tassel detail.